Twilight Language: Phantom Clowns of 2015, Copycats of 1981? I coined the phrase "Phantom Clowns." Why? I invented the name to describe some strange and bizarre sightings I investigated over three decades ago. 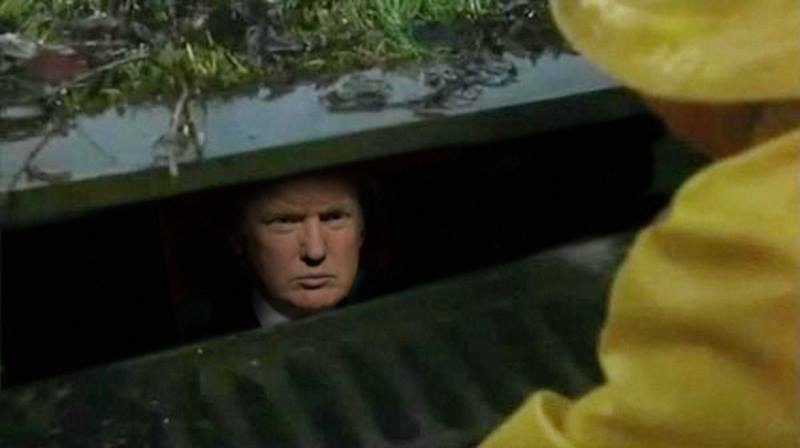 In Mysterious America, I detail the United States of America's wave of shadowy 1981 sightings of clowns in vans who appeared to have tried to kidnap children, from Boston to Kansas City. Now the Phantom Clowns are stalking St. John's Road in Kent. The Daily Mirror appears to be one of the first media outlets to have reported comprehensively on the latest Phantom Clown outburst, this time in England. With this week's headlines, "Clowns in vans chasing terrified children spark warning 'go straight home after school today and not to loiter,'" the whole world took notice. "Police are investigating after numerous reports of kids being approached by people wearing clown masks driving a van earlier this week," the Mirror said. Kent Police in the UK have issued the caution after a number of "suspicious incidents" in Tonbridge and Tunbridge Wells, in Kent. Earlier, they were thought to be targeting pupils at Hillview School for Girls (shown above), in Tonbridge, Kent. 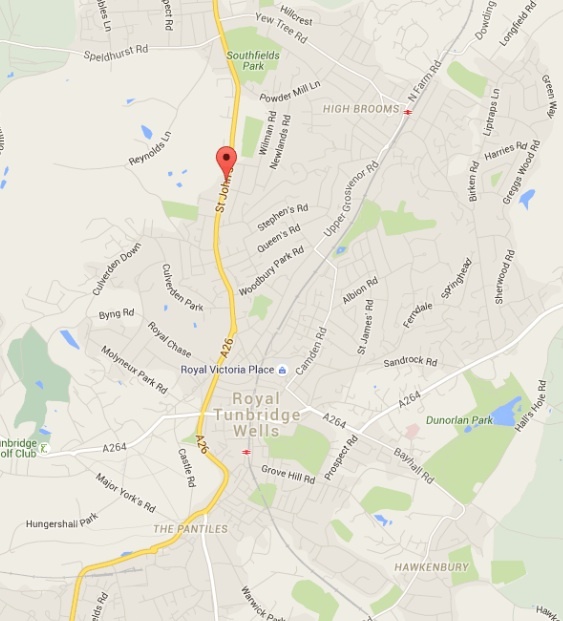 Reports of people wearing clown masks being spotted in a van on St John's Road in Tunbridge Wells took place on Tuesday, October 13, and Wednesday, October 14, 2015. Needless to say, St. John's Road is a roadway with a power name. 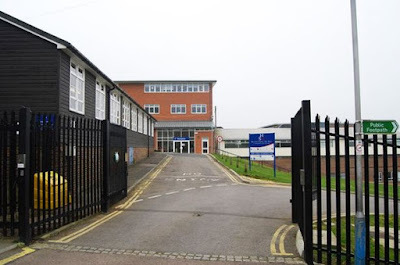 Dear parents, It has been brought to our attention that some of our students have been approached in the vicinity on separate occasions (one outside Sainsbury's and another outside Olive's) by two people wearing black outfits with white clown masks. We have reported this to the police with whom we are actively working. The incidents started two weeks ago after several reports in Tonbridge. 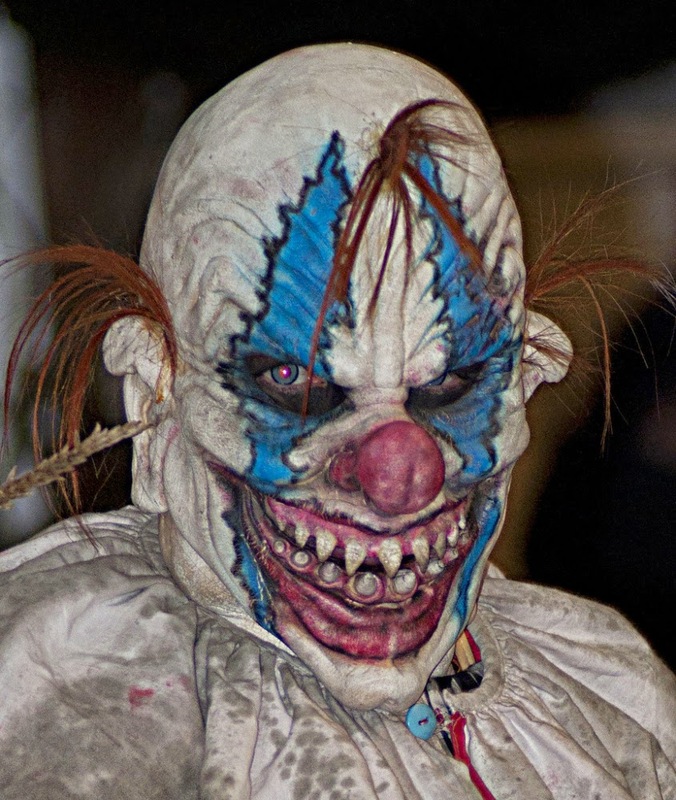 On October 5 in Hectorage Road, pupils reported they were scared by people in clown masks. On October 7 and 8 there were also reports of a woman in the High Street wearing a clown mask. The following week in Tunbridge Wells, on October 13 and 14 there are reports of people wearing clown masks in a van on St John's Road. At the moment it doesn't appear anything sinister has been linked to these reports but we are continuing to investigate and trying to establish if any offences have been committed. We are looking into it and putting out extra patrols to make sure people feel safe. We are still working to establish whether any offences have been committed. However, I want to assure parents that we take the safety of all children very seriously and have extra officers on patrol around schools. I would also ask parents to make sure they remind children how to keep safe. If any child is approached or has any concerns about people behaving suspiciously they should report it immediately to their parents or schoolteachers who can then report it to police. 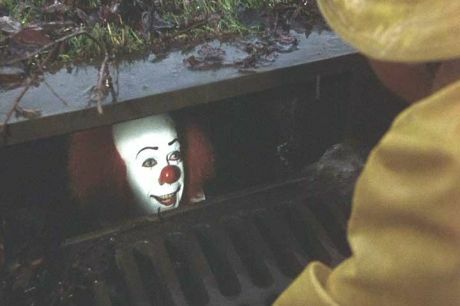 The motif of clowns in vans, indeed, Phantom Clowns that are never caught, began in earnest, in 1981. And they are still with us. Keep all the children safe this Halloween. Please note, there is a clown subtext to the recent ZombiCon shooting. News sources are reporting that Expavious Tyrell "Taylor donned a clown mask, stood on the margins of the festival's revelry and barely had an hour to enjoy it before the attack, said his girlfriend, who attended Zombicon with him." And that he wore a "creepy clown mask." 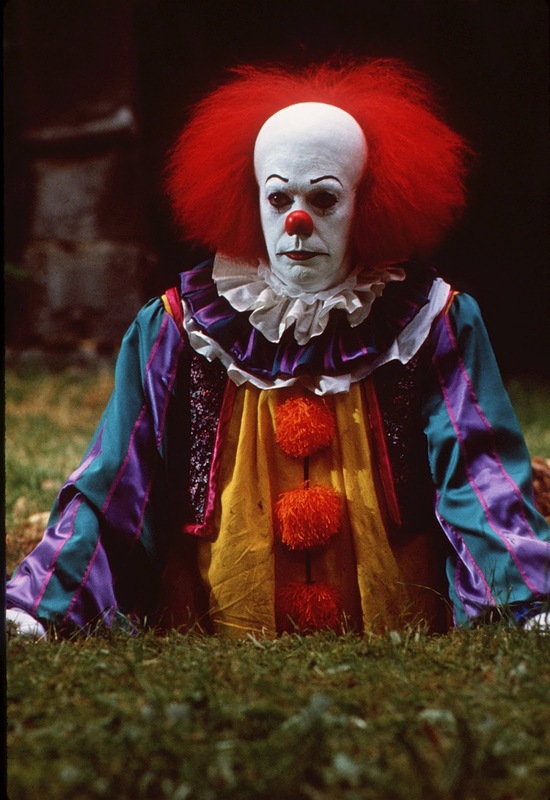 Tim Curry as Pennywise in IT (1990). Footnote: To undermine any incorrect misunderstandings regarding the rumored origins of the Phantom Clown stories, they cannot be referenced as being "caused" by Stephen King, as is often written. Stephen King's IT terrorized children (as a novel in 1986 and a TV movie in 1990), after I published my notes on the discovery of the "Phantom Clown" wave of 1981 (first in magazine articles and later in my 1983 first edition of Mysterious America). There are persistent rumors that IT is going to be remade, and shooting begins during the summer of 2016. Kent's new reports appeared via the following three Daily Mirror sources: 1, 2, and 3. 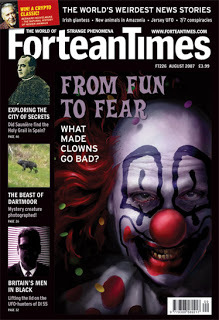 See also the brilliant 2007 critique of Ben Radford's debunking Phantom Clown article, which was published in Fortean Times, here. See also the "Phantom Clowns" chapter of Mysterious America. Also, search this blog for other postings on the Joker, Joker Copycats, Hobos, Jesters, and other masked mysterious beings. I am not here to self promote, delete if you wish. I just changed my last post, maybe an hour ago, to include an image of an autumn equinox placed, Donald Trump mask - on the Greyfriars Bobby statue in Edinburgh. Greyfriards being a kirkyard. "Taylor donned a clown mask, stood on the margins of the festival's revelry and barely had an hour to enjoy it before the attack, said his girlfriend, who attended Zombicon with him." Possibly the mutation of the clown from a playful and entertaining fool to an image of horror represents collective subconscious awareness of the "clownish" attempt to solve dire problems like overpopulation, climate change, war, and negative cultural influences such as copycat-influences.